Purchase My Book "Extreme Couponing" | Free Tastes Good! Do you want to learn how to coupon? Do you want to learn how to get items for FREE? Do you want to learn how to cut your bill by at least half? Do you want to learn how to pass the blessing on? If so then purchase “Extreme Couponing” Book. You can get an autographed copy from me. We are selling the book for $12 (+ shipping). I am beyond excited to share this information with you all. 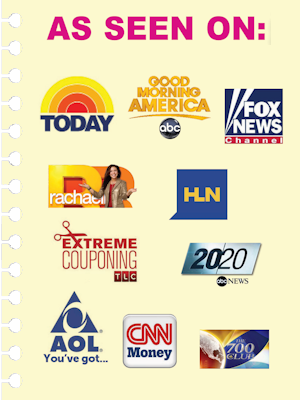 I will show you where to find coupons, where to get printable coupons, when to use your coupons, how sale cycles work, how to maximize your savings. 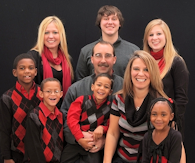 As most of you know, our family has been featured on TLC Extreme Couponing 5x, GMA, 20/20, The Today Show, Rachael Ray, 700 Club, HLN, CNN Money, Huffington Post, Fox News, All You Magazine, and many other national and local shows and magazine. We have had so much fun showing 1000s of people how to save and share. Thank you Jesus!! Love the book easy reading and very well explained. I am new and here I found all the necessary information to start my couponing and soon to become an extreme couponing girl like the author. thank God Bless u Always. Now since you have all that information, click on the “Buy Now” tab below! You can also purchase the book via Amazon Extreme Couponing: Learn How to Be a Savvy Shopper and Save Money… One Coupon At a Time BY CLICKING HERE , Cost $12.31!! 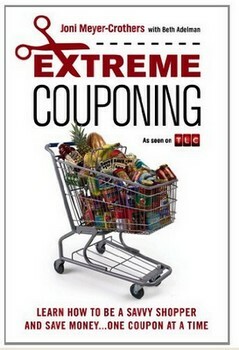 Or snag Extreme Couponing: Learn How to Be a Savvy Shopper and Save Money… One Coupon At a Time – KINDLE VERSION BY CLICKING HERE for ONLY $9.99! !